Did you realize that December happens to be Bingo Month? 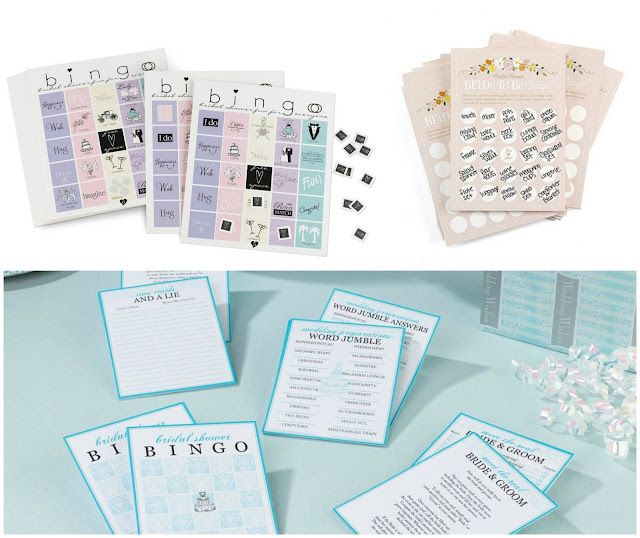 While most of our thoughts tend to be on the holidays in December, finding out that particularly interesting fact made us start thinking about Bridal Shower Bingo, which led to thoughts of other fun bridal shower games to play. Today we've listed a few different activities to try for this type of party, many of which you can purchase the pieces for at WhereBridesGo.com. While the general concept remains the same, there are a lot of different versions of bingo cards for bridal showers. One version of "Bridal Bingo" that we carry in our online wedding accessory store has squares that are already filled with phrases you might hear at the shower. Our "Bride To Be Bingo" lets your guests fill in the squares (or circles, in this case) with items they believe the bride will open. 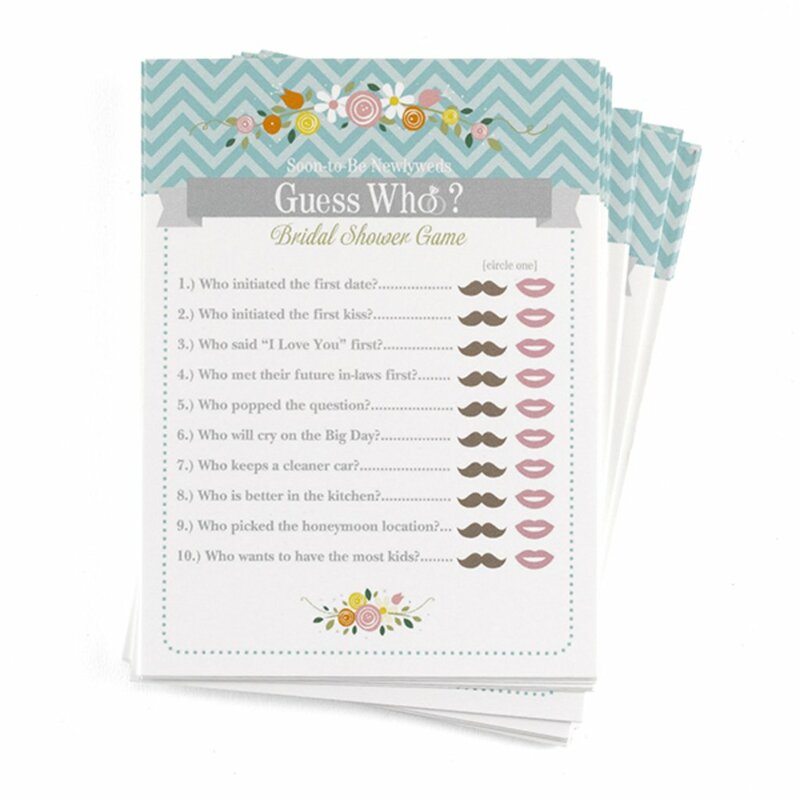 Another way to get a fun bingo game from us is in our "Bridal Shower Game Packet" combination set. It not only has the bingo cards, but also Two Truths & A Lie, Wedding Preparations Word Jumble, and Meet the Real Bride & Groom. All you need for your guests are a few pencils and some great prizes. One entertaining tradition at a bridal shower is to collect the bows and ribbons from every gift and make a bouquet for the bride to carry down the aisle at her wedding rehearsal. With the popularity of gift bags that don't normally use bows, you may want to remind the guests to throw some ribbon on the package. Another alternative is to form a few paper flowers from tissue paper found inside the gift bag instead. 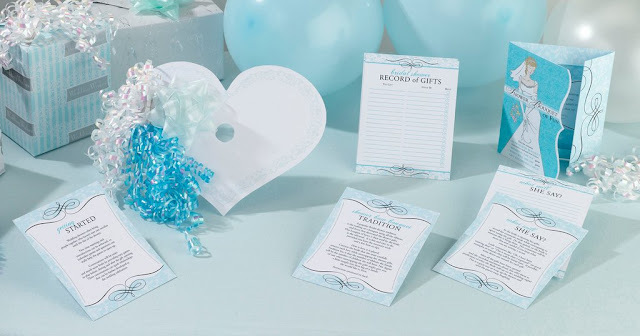 WhereBridesGo.com's "Bridal Shower Bouquet of Fun" is another wonderful combination set that not only has a sweet heart-shaped bow holder to make playing this game easy, but it also includes cards for recording all of the gifts plus 2 more games: Breaking the Ice, and What Will She Say. Everyone will be wanting to get a good look at that gorgeous engagement ring on the bride-to-be's finger. This game allows each of the guests to wear a ring of their own. The trick is that you will pick a word or phrase that no one is allowed to say, such as "wedding," "bride," "groom," etc... If someone does utter the off-limit words, the person that catches them doing it must surrender their ring. The guest wearing the most rings at the end of the shower is the winner. 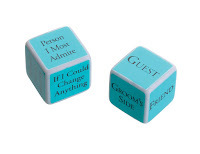 This game from WhereBridesGo.com is a great way for guests to break the ice and get to know each other. A small group could all play together, and a larger shower could have a set of game dice at each table for smaller groups to play with. Simply roll the dice, answer the questions, and get to know each other. This usually ends up causing quite a few laughs, and occasionally a few embarrassing stories even surface. You'll need an active and creative group of guests for this game. The title pretty much sums up the activity. Everyone will divide into teams, one player on each team is the model, and everyone else is given a roll of toilet paper. Working together, teams must fashion the most beautiful bridal gown before time runs out, or before the dress falls apart! The real bride gets to be the judge for this one. Guess Who - Bride or Groom? This cute game is all about the engaged couple. A list of questions are provided, and shower guests must take a guess at who is the answer to each one - the bride or the groom? In our version, you circle a mustache if you guess groom, and a lovely set of lips if you guess bride. It's an excellent way to get to know the couple better. The main reason for showering a bride with gifts is to celebrate the fact that she is about to marry the person she loves. Playing bridal shower games adds extra excitement and fun for everyone in attendance. You can find most of the games above at WhereBridesGo.com, as well as the best bridal shower decorations and accessories for the rest of your party planning.